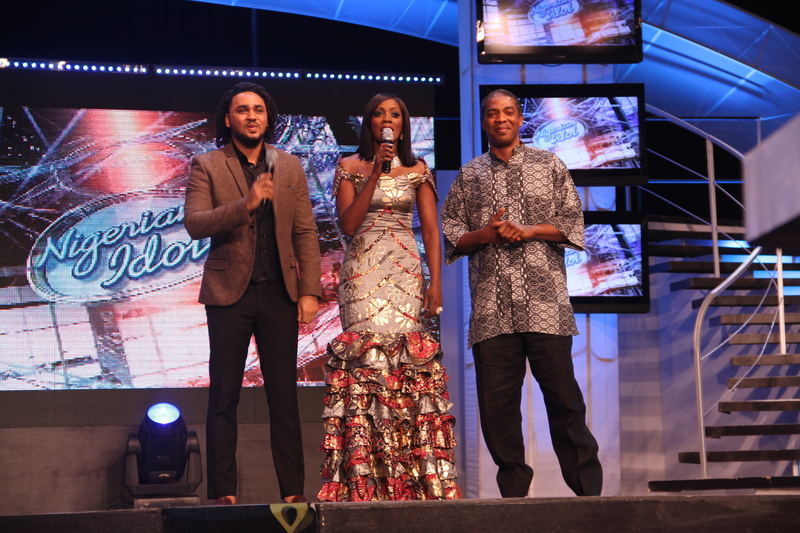 Mercy, Joe Blue and Stephen were the remaining contenders for the Idol title. But this Friday, Nigerian Idol will be holding its top 2 performance. to celebrate a successful run so far, Nigerian Idol is giving 10 YNaija reader free tickets to the semi final live show, how cool is that? For a chance to win, just answer this question correctly: Who was the guest judge last week on Nigerian Idol? First 10 to answer win tickets. Femi kuti was the guest judge..
Coco, Rachael, Femi, Joseph, Berry, Kemi and Tochukwu, please send a mail to [email protected] with your name and phone number so that we can get in touch with you. The guest judge for last week show om nigerian idol is femi Anikulakpo kuti. Femi Kuti was the guest judge last week. The guest judge last week for the Nigerian Idol Season 2 is the Late legend Afro Beat Fela Anikulapo Kuti's Son,Olufela Olufemi Anikulapo Kuti. The guest judge last week on Nigerian Idol was Femi Kuti.